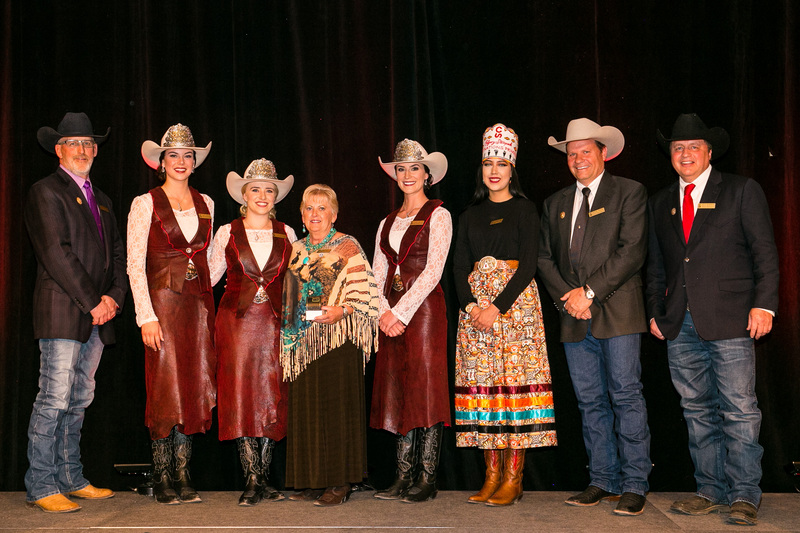 The 2018 Calgary Stampede festival has come and gone for the year but the Stampede Showband was still in full swing in July and August as they prepared for the SoundSport International Music & Food Festival in Indianapolis. The group proved that hard work does pay off as they took home three Soundsport trophies, including a Gold Medal for Outstanding Performance, Best in Class and Best in Show, and the DrumLine Battle™ Champions trophy. Right after Stampede time, the Showband leapt into practices for the festival as SoundSport took place on a smaller spatial scale than what the Showband had been performing in Calgary, and with shorter song length requirements. To accommodate their performances, the approximately 150 Showband members worked hard to compress their 45 minute Saddledome Steps show to seven minutes, while also tightening their field movements. This challenge included learning new songs and new choreography, and both tasks kept Showband members busy throughout the end of July and beginning of August. 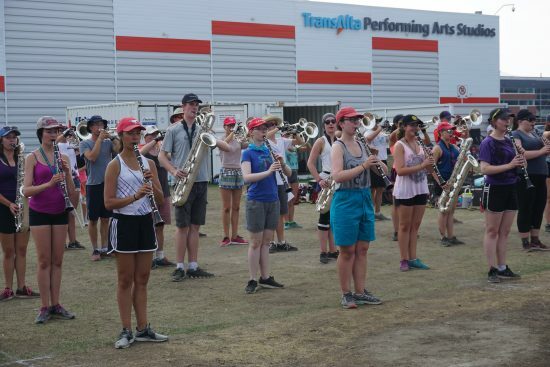 Members of the Stampede Showband rehearsing outside of the TransAlta Performing Arts Studios field. Although the requirements for the SoundSport Festival were tighter, the competition was big. More than 35 ensembles from the United States, Canada and around the globe competed in various categories including the full ensemble and events like the DrumLine Battle™. Winning big in major categories, the Showband’s performances stole the show. 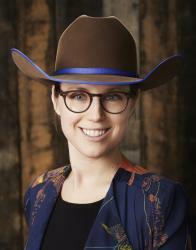 Preparing for a world-class competitions right after the Stampede festival is to be expected for Showband members as it`s the last month of the group’s annual performance cycle. 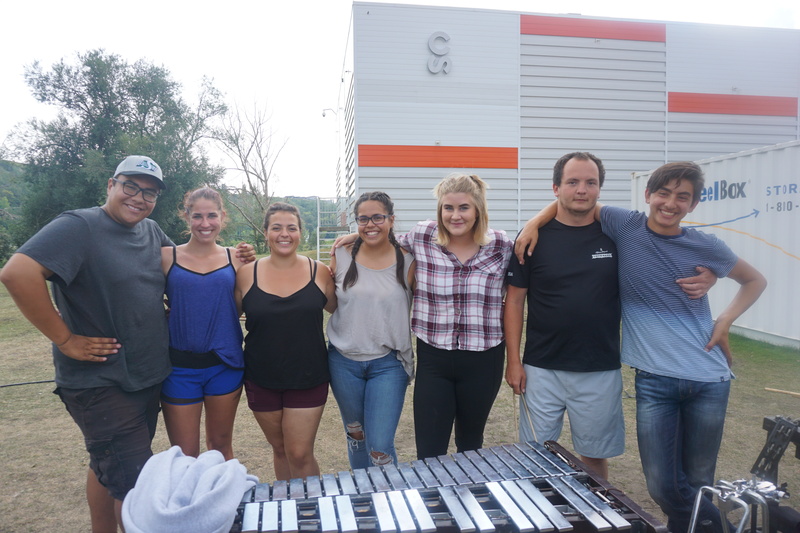 September marks the first month of the new Showband group for the upcoming performance and Stampede year; preparing for the final competition tour in August is sometimes a bitter-sweet experience for the group. 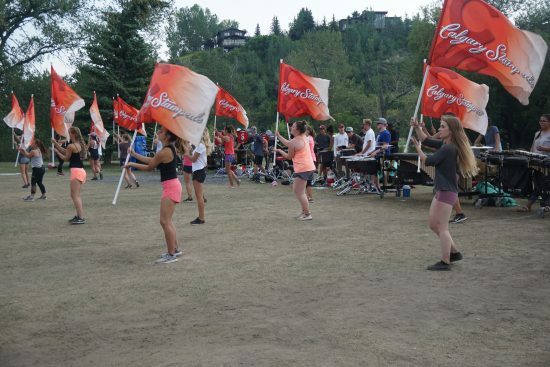 After performing multiple times every day during the 10-day Stampede festival, Showband members have their routines down-pat and have formed incredibly strong bonds. 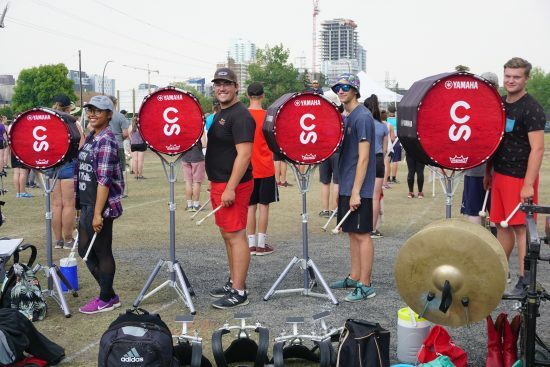 Knowing that their band year is coming to a close, Showband members use their energy to give it their all in the August competition tour. 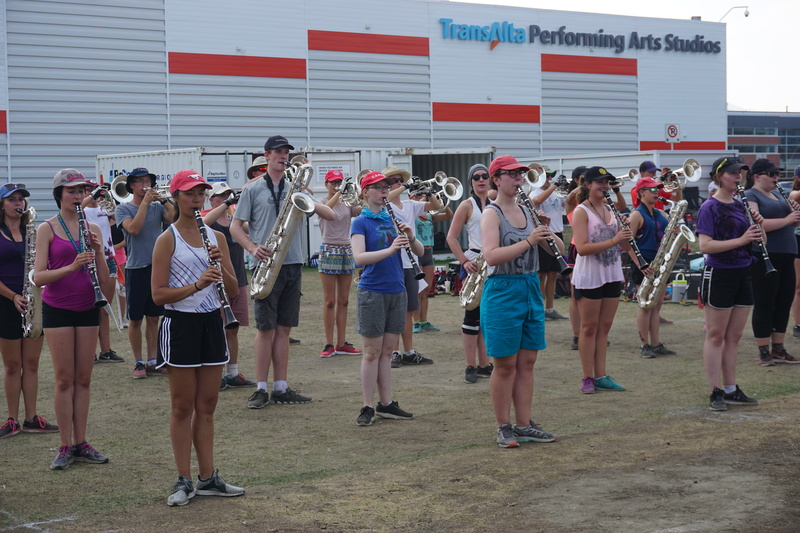 September – Stampede Showband members gather for the first time of the new performance year. 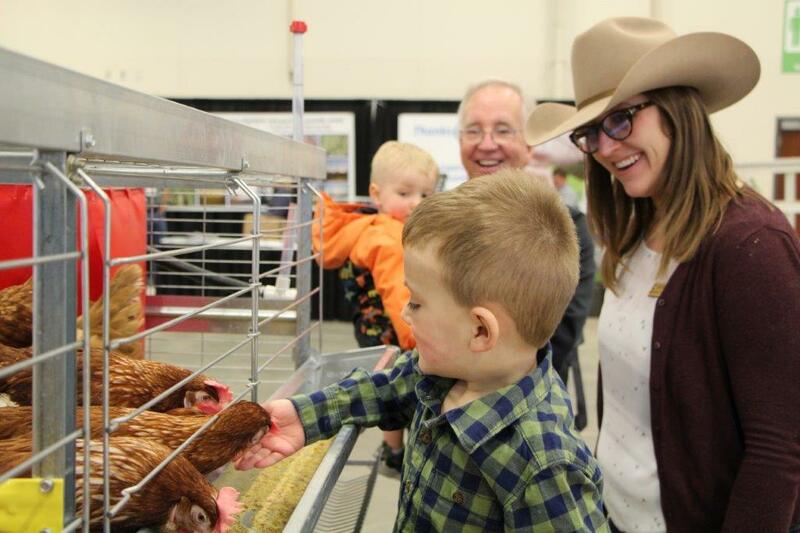 The culture begins to form, welcoming new members and new faces. Members begin working on their parade songs this month. October – The first week of October usually sees the first performance of the group at the CIBC Run for the Cure “Reverse Parade;” Showband members jokingly call it this because they are the ones standing still performing while runners run past them. November – The Concert Band (formal performances while sitting, compared to Marching Band) members are refining their skills. December – Annual Christmas Concert! 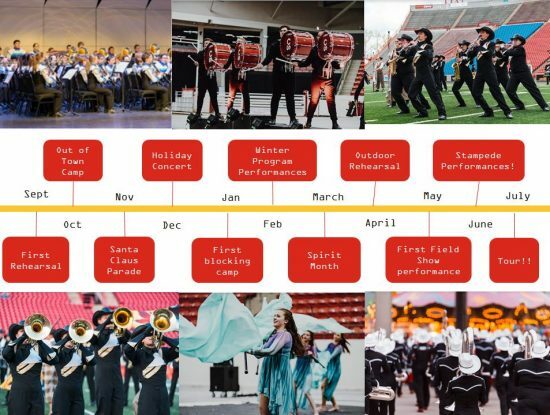 January to March – Winter Percussion and Winter Colour Guard takes place with performances that members use to develop their skills to be successful during the busy summer months. The Winter Colour Guard competes in a regional competition with more than 150 groups. Members also use these months to participate in general Showband practices and Showband fundraising events, in addition to their school, work and home responsibilities. April – The winter circuit is finished so everyone starts to get ready for the summer. May – Almost every weekend there are events the Showband attends, with the first performance of the season the second week of the month. 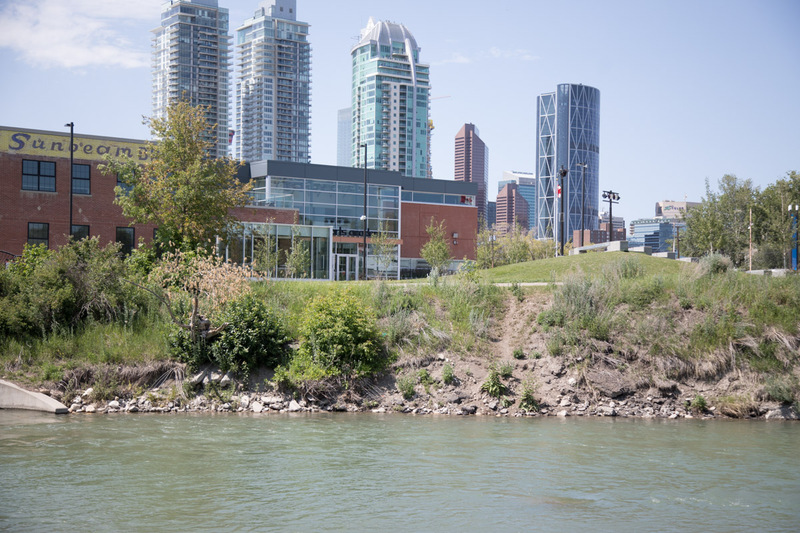 Other events include the High River Parade and Listening to Our City. This month auditions are held for the following performance year. 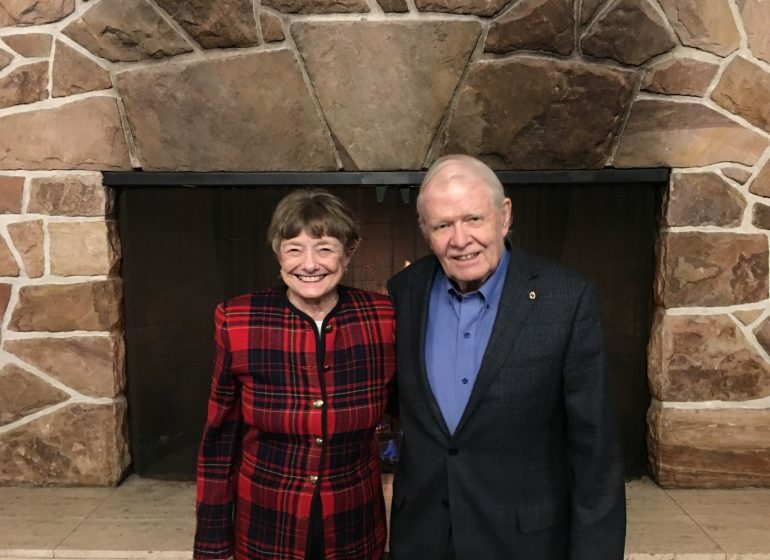 Successful participants continue their year in the Showband if they are already members, or wait until September if they are not members yet. June – 21 of the 30 days are spent rehearsing, performing or tweaking routines and songs. 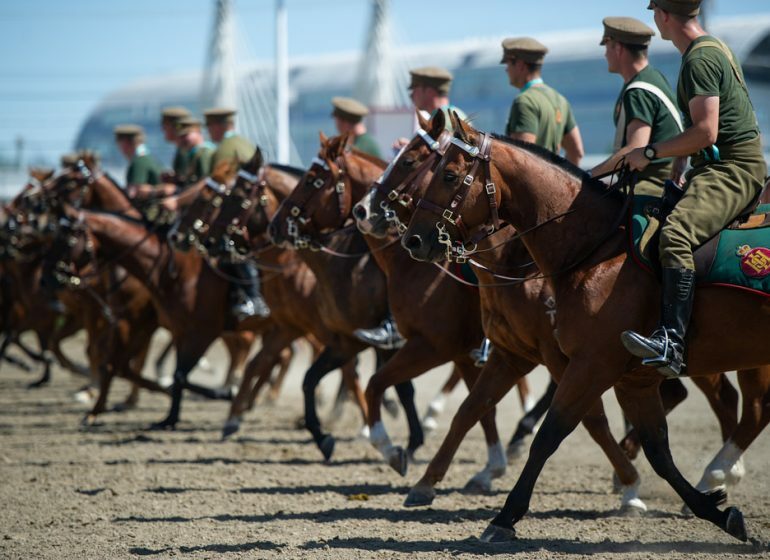 Practice makes perfect, so the Showband practice almost every day of the month to prepare for The Greatest Outdoor Show on Earth! 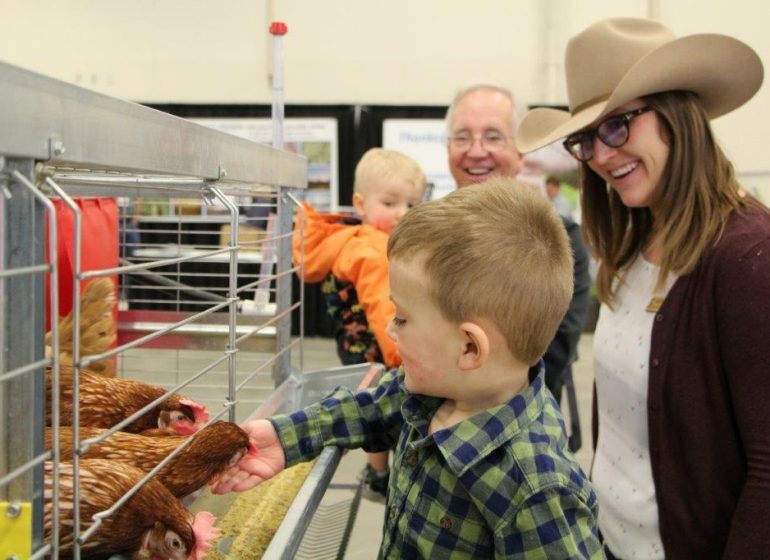 July – Hundreds of hours are spent performing around the city – including during the Stampede festival and for the annual field show competition at McMahon Stadium. 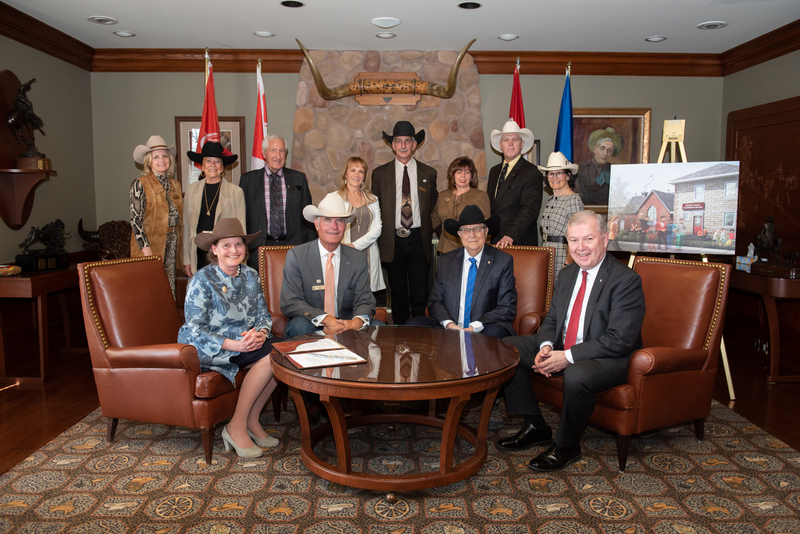 During the Stampede, the Showband can be seen at the Grandstand, Parade, at the Rodeo, performing O’Canada before the GMC Rangeland Derby chuckwagon races, performing the 45-minute Saddledome Steps show twice a day, practicing in between and more! 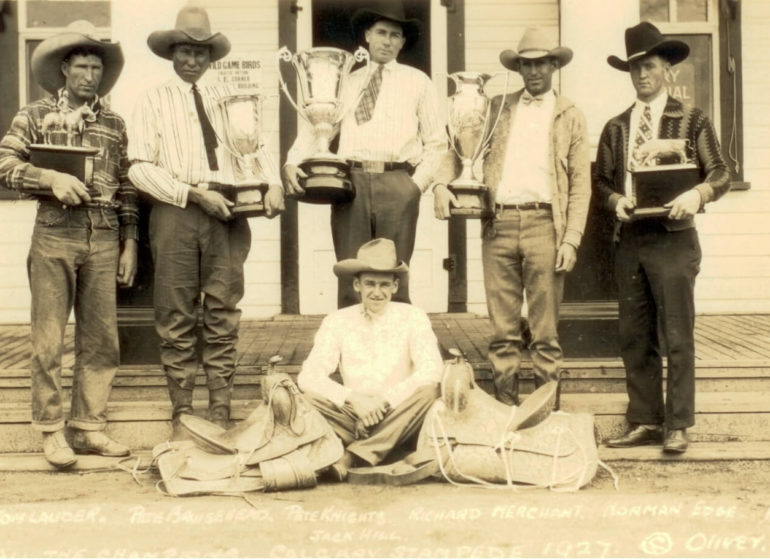 August – Circuit tour and competitions, and farewell for the season. 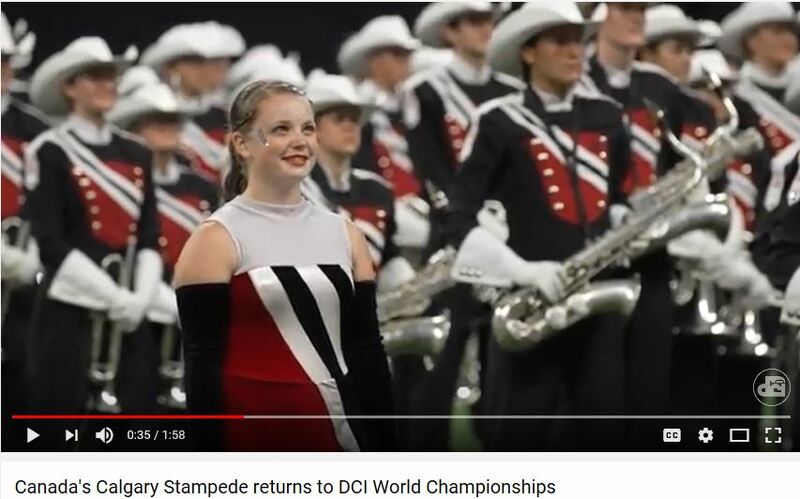 Learn more about the Stampede Showband.